Jonathan has worked on a variety of civil and criminal litigation matters, including banking, investor and real estate fraud cases, insurance and bad faith cases, business litigation, personal injury and motor vehicle accidents, as well as the prosecution of civil rights actions and the defense of both civil and criminal cases. Jonathan has defended criminal cases in circuit, district and municipal courts all over the state. Jonathan has represented appellants and appellees before all appellate courts in Alabama and has presented oral argument before the United States Court of Appeals for the Eleventh Circuit. He has represented plaintiffs and defendants in both state and federal courts and has tried several cases in state and federal courts throughout Alabama. 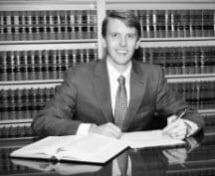 While in law school, Jonathan worked for the Alabama House of Representatives and served as an assistant law clerk to Hon. Sue Bell Cobb, Chief Justice of the Supreme Court of Alabama. Jonathan and his wife, Casey, reside in Auburn with their two daughters.